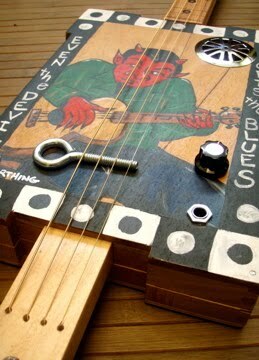 $99 cigar box guitars, come with a Slide, Stickers, and Download of The Budrows, “100% Foot Stompin’ Cigar Box Rock n’ Roll. 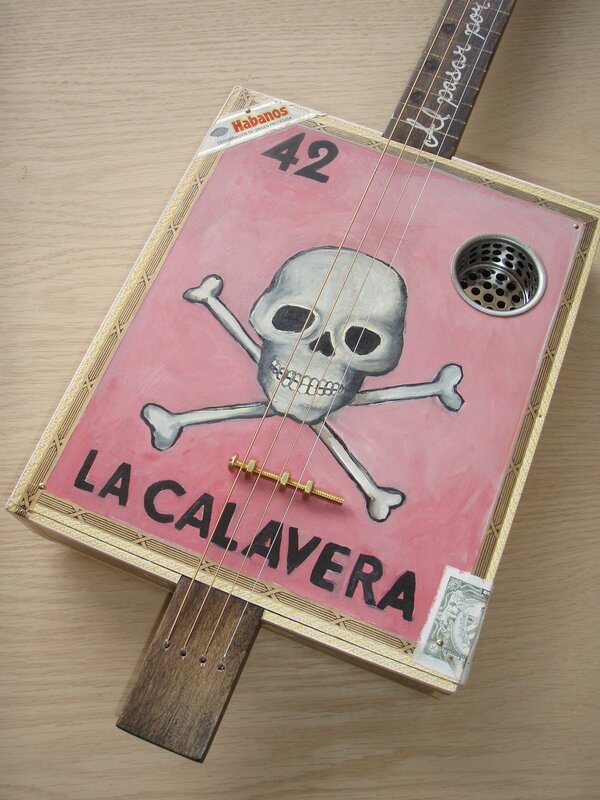 Snake Bite: This is an electric four string with a painting of a rattler, this thing says stand back, cause the sound will bite you. It has a piezo pick-up mounted in between the neck and the box and has a volume control as well. It sounds mean. Big Clucker: This is a basic four string acoustic with a painting of the big clucker that kept waking me up when I was staying at a friends house. It has cut in fret markers custom painted fret dots. It sounds way better than that rooster at 4 in the morning. 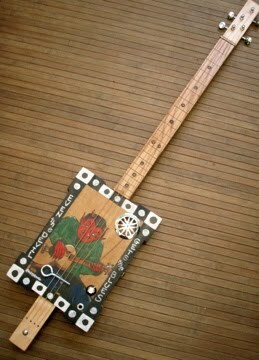 This is an electric four string with a painting of the Devil playin’ some blues. 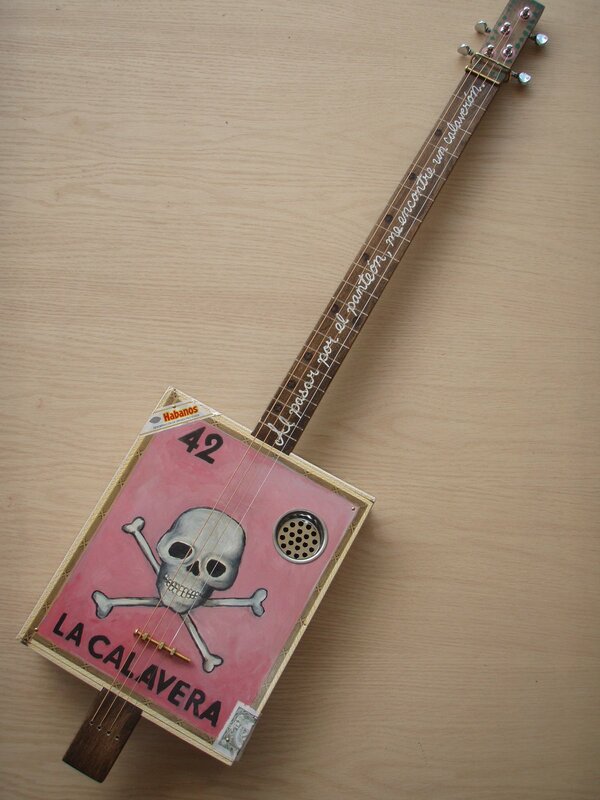 It has a piezo pick-up mounted in between the neck and the box and has a volume control as well. It has a maple neck, cut in fret markers and branded fret dots. This series of four boxes was created by me specifically for the ‘Dia de los Muertos’ art exhibit for the City of Anaheim a few years ago. It ran from the beginning of October through the first week in December and was very well received by all who attended. 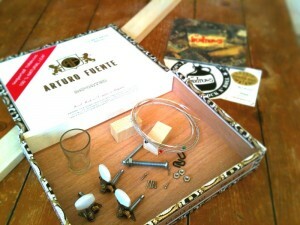 We played live cigar box guitar music there, and enjoyed some great artwork by many talented local artist. 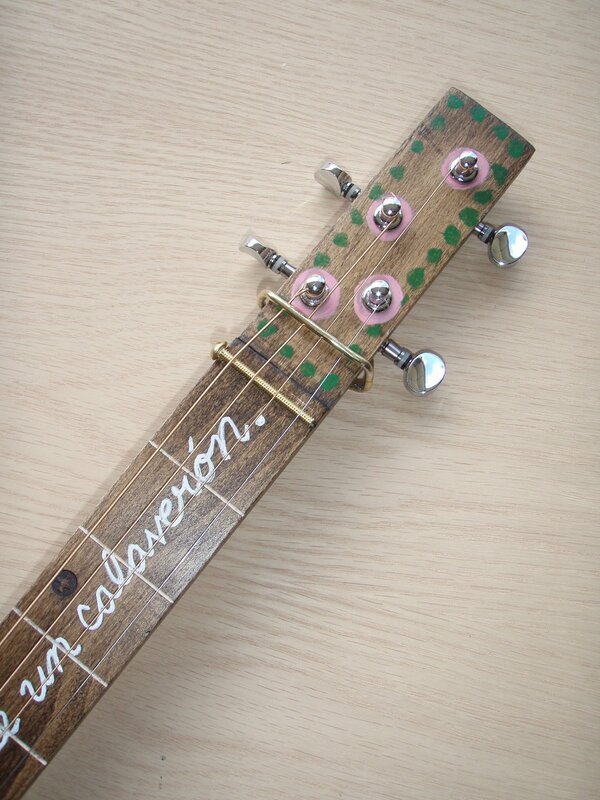 These are acoustic 4 stringers with hinge tail piece, cut in fret markers, and custom art work.